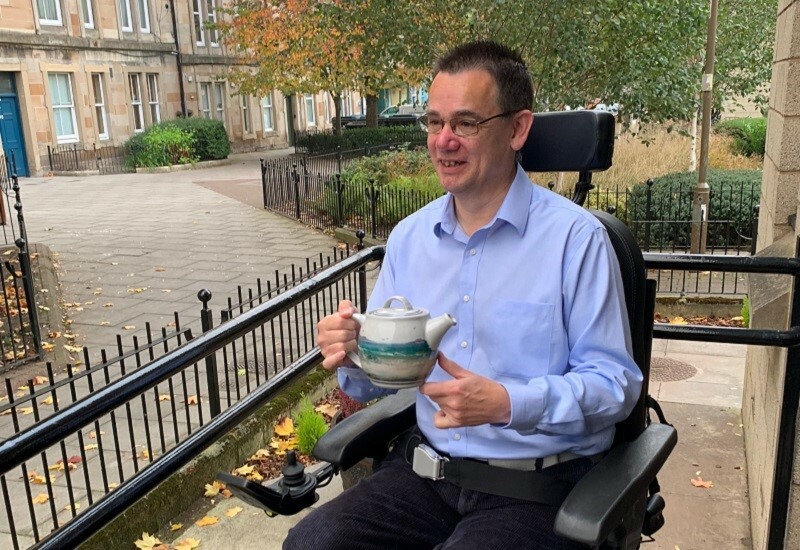 Pottery collector, storyteller and access expert, this week we caught up with Paul, Access & Inclusion Director at Euan’s Guide, to hear his story about what goes on behind the scenes at the charity. A history-aficionado, it’s no surprise that Paul has just returned from the National Museum of Scotland. “I was having a look at their new Changing Places toilet which is quite exciting in my world,” he says as he joins me at a vintage table inside the UK’s largest tech incubator. Indeed, we can often be found talking about toilets at Euan’s Guide HQ! When using Euan’s Guide, Paul has no doubt about what his favourite feature of the website is. 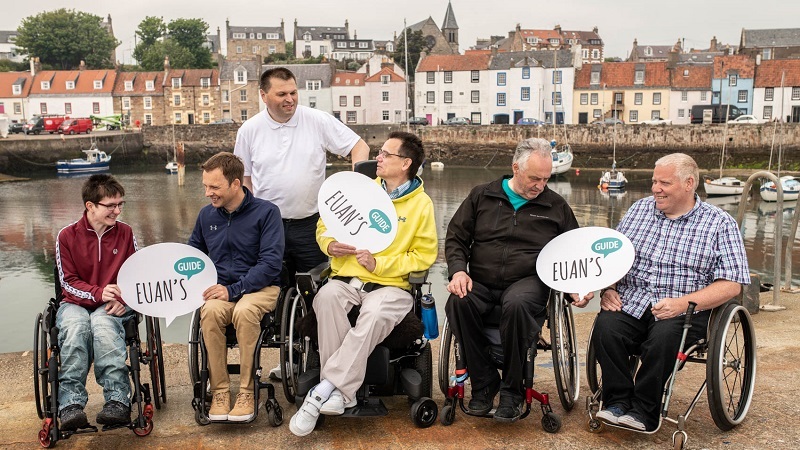 “My favourite feature is the ability to search for places and spaces and to apply what I’ll call the powerchair filter.” The filter feature on Euan’s Guide lets people search for reviews written by others who have similar access requirements to them. “When I apply the filter, I can identify with those people and I know that if someone has identified as a powerchair user and written favourably about somewhere, I don’t have to think about it. I know that place is going to work for me and that just makes my life so much easier. For me, I will visit somewhere on the strength of one review, and sometimes even on the strength of a few words and lots of pictures. It was through the ‘powerchair filter’ that Paul visited Blackpool for the first time on the back of one reviewer’s experience. “He wrote a series of reviews about Blackpool, and there was enough for me to see he’d been on the pier, been to the Tower, been to the zoo…and they were all positive reviews. I suddenly thought it sounded so much fun to just go and see what would happen. Emma experiences an Edinburgh Bus Tour!